As a dog groomer, I've instructed my clients for years to always use a high quality shampoo and coat conditioner to keep their dog’s coats healthy. Using cheap shampoos or horrors,,, dish detergent on your dog will wreck the delicate acid mantle that protects your pet's skin and open the door to hot spots, excess shedding, dry coat and expensive visits to your vet's office to treat conditions that could have been avoided by simply being mindful of what you use to bathe your pet. 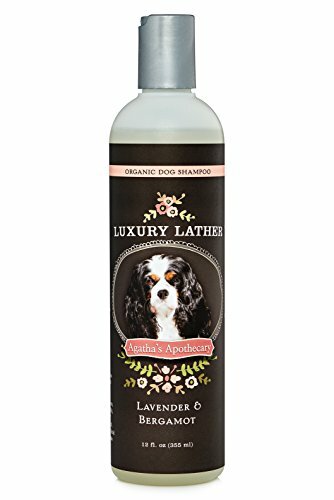 Luxury Lather is the best, (and I've used almost every shampoo on the market) shampoo you can find for producing a beautiful healthy skin and coat. A bit pricey yes, but it's super concentrated and just takes a small amount to produce a rich soap-free lather that naturally lifts doggie grime and leaves your canine smelling fresh and fabulous.